In 1997 my favorite college English professor appeared in my dream. She and I were the only ones in the classroom. The professor was standing in front of the black chalkboard with a piece of chalk between her hands. She looked hard into my face and gave me a gem of truth, “Holli, the key to revolution is…” On her heel she spun around to quickly scrawl in big all-cap letters, “AGRICULTURE.” The professor turned back to face me and slowly nodded while she whispered her secret. 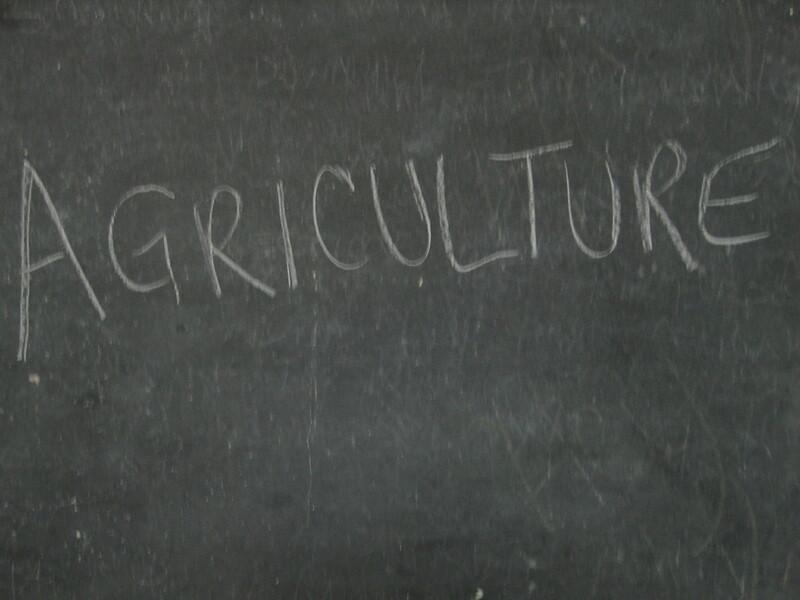 That dream inspired me to learn what I could about agricultural systems over time. I picked up Wendell Berry’s The Unsettling of America: Culture and Agriculture, which explained my professor’s statement with profound clarity. Our relationship to our food determines everything. Shifting that relationship will without a doubt shift our culture, in a positive or a negative way. A moving illustration of this truth is The Grapes of Wrath, where the collapse of small family farms and the take over of bank-owned, mega-mechanized giant farms is described in vivid prose. As American families lost their farms, America lost the capacity of human dignity as it relates to a connection with the land. Over the past decade, a slow shift in the scale of Agriculture has been occurring, bringing with it a new understanding of quality. We are retasting our food and realizing the special gift that it is. After the chemical revolution and the great synthetic food science experiment, we have come to know in our bodies that we are what we eat. And we want our bodies and our children’s bodies to be made of real, from-the-earth elements. We don’t want to be synthetic people, manipulated by marketing practices that see us only as “consumers” and not as human beings. We want to feel like flesh and blood again. And we want to appreciate the labor and care of the farmer who nourished the soil to nourish our bodies. A revolution is underway. According to Bill McKibben, small-sized farms have increased steadily over the last 15 years by 12-15%, and the USDA reports that for the first time in a long stretch the amount of people using land to farm is increasing rather than shrinking. Many of those farms are feeding a diversity of crops to the people in their local area at farmers markets, instead of a commodity crop to distant places. The whole concept of farming has changed. Small scale is the new American way. And you can’t get much smaller than the hobby farmers who are growing backyard and frontyard gardens. They’re landscaping with edible shrubs, trees and perennials. Some are taking up the grass to make room for plants that produce fruit, or are medicinal. Such actions make one more self-reliant, and less vulnerable to downshifts in the economy, not to mention the mood therapy that one receives from getting outside, absorbing Vitamin D, and eating fresh veggies and fruits grown with one’s own hands. My teacher was right, the key to revolution is AGRICULTURE. By the way, in 1999 I told Wendell Berry about my dream when I met him at a once-in-a-millennium conference hosted by Orion Magazine in Shepherdstown, WV called Fire & Grit. He just nodded, kind of like my favorite English professor.